You know when you have a bunch of stuff to do, but you just don't remember all of it, so instead of thinking about it, you just do nothing? Well... I never do that. 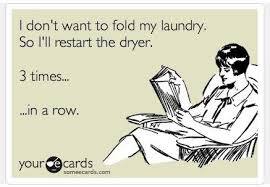 I have a laundry list (literally laundry) of things I need to do over break that do not include sitting and doing nothing. Although, there will be at least ONE day, where I sit, and do thing. I have ten long workdays to be uper productive, oh if only I try! At the top of the list is to clean my closet. I seriously need to get rid of SO much stuff. We have an ok sized closet but it is pack to the gills with stuff that I just don't wear. I would eventually like to do stitch fix because I see so many people having so much success with it, but I know I need to clean out what I have, and try and sell some of it to pay for Stitch Fix. Seriously... Look at that mess! Yikes! Next up, grocery shopping. Because a Costco size container of apples is apparently not enough variety for the other person living in our house. And you people who are finished with your gift buying? I don't know you. Laundry? You mean I have to wash it, dry it, and put it away? HA! Create. This is my favorite, and it shouldn't really be on my "To-Do" list. I have to make a to-do list so I don't just sit and create all day. I have attachment problems with my computer and I am not afraid to admit it. I have so many things I want to make over break, but I know I will not get to all of them. I sure am going to try though! Workout. Adventures in Teaching recently posted a blog about how teaching is making her fat. I totally get it. Cookies and candy and coffee, and let's not forget the afternoon chocolate pick me up, and oh, you're ordering pizza for lunch? I'll take a piece! 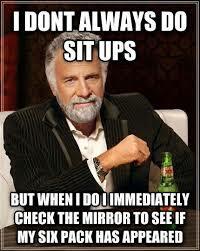 And then, after school, getting me to get off the couch is a chore, let alone go to the gym. The only time I would typically go during the school year is before school (5:15 folks!! ), and let's face it, winter is not an ideal season to be up and out of your house that early! It's an EVIL cycle, and sometimes I need a break to remind me that I feel better when I workout and eat like a normal human being. So I am using this break to rejuvenate and hopefully get into a rhythm of working out. Floor care? Do you have a dog, or a child? Is it wet where you live? Point proven. My floors stay clean for .5 seconds with my dog when it's wet out. To a certain extent, what's the point? Blog... Well! Here I am! Avoiding all of the other stuff on my to do list! RESA can just go to H-E double hockey sticks. This is the most important but least motivating thing do. It's all around awful and is something I don't feel I should have to use my personal (unpaid) time to do. Plans- I really actually enjoy typing plans, but this will have to wait until it gets closer to going back. If I type them now I will lose them, or forget what the heck I am supposed to be doing. So those will wait until next week. 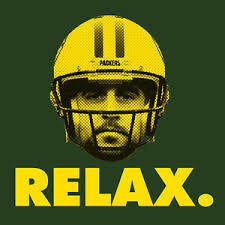 And the last one, that I really can't put on the list, is just like Aaron Rodgers says, R-E-L-A-X! I have some quality snuggle time ahead of me with my furry friend and our new fuzzy blanket. This is one of the reasons winter is my favorite. I have an excuse to stay inside, drink coffee until I am shaking, and watch bad Nicholas Sparks movies until I fall asleep. 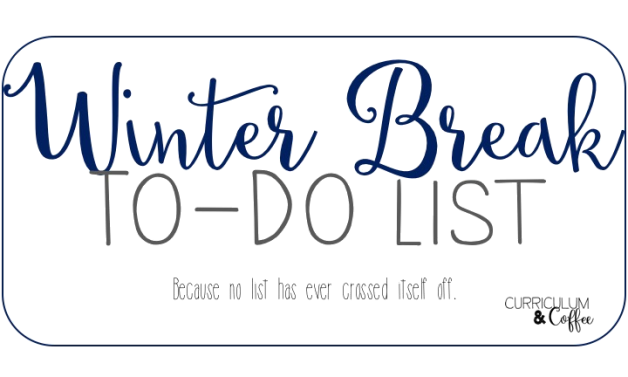 What's on your winter break to-do list? I'd love to see it! Leave a link to your break plans in the comments!